Reader Beware -- an opt-ed-y ranting lies ahead. Let's take a quick second to think back to this time six years ago. Your girl was an intern at a prominent sub-label here in NYC, a newbie to the Big Apple after three and a half years spent as a Music Industry major at a small state university upstate. The experience was a golden one, one I hold very dear. Not necessarily for what I got to do on a daily basis but for the nuggets of knowledge and insight I gleaned over those precious five months. I feel lucky enough to say that I didn't just have one mentor -- I was surrounded by them. Young, smart, forward-thinking individuals who didn't box themselves into the prescribed Music Business Handbook that I was essentially taught verbatim in school. I remember vividly one day in particular when one such mentor sent around a email to the entire (small) office team. It was a link to an article about the launch of the music streaming service Spotify in the UK, and the succinct statement of "The future of the Music Business is now." Not long after, we had a "town meeting" of sorts to have a general conversation as to why music streaming was important. Physical sales had long since been on the decline. We were in this strange grey area of between. It had been eight years since iTunes had launched. The MP3 player of your choice was the preferred conduit of music listening (whereas in my middle school years -- the early era of MP3 music files -- the idea of downloading music was taboo). The idea of having a cloud-based service that allows you to play any song on-demand for one small low fee (weekly, monthly, year?) was still new and exciting and it just made sense. Fast forward to now. Plenty of streaming services have begun to crowd the marketplace. Spotify has been on the market in the US for over four years. And it's presence has been felt. However, unlike when the digital age first emerged and (most) record labels -- for lack of a better phrase -- freaked the freak out at the potential lack of income from sales and the artist was immediately viewed as the victim, the divide morphs into the age old David & Goliath among the artists themselves. Part of this discussion is brought on by Jay-Z's new TIDAL streaming service. The service is still utterly brand new, the jury is out on whether it will be as openly as embraced as Spotify was (and lest you forget, that took plenty of time and energy on their part). Like Spotify, TIDAL was crafted in Sweden (home of the good pop) and it's main marketing ploy is the "high quality" sound its streaming offers its customers. That's all well in good for audiophiles like you and me but to the Average Joe, who is lifting music for free off of platforms like YouTube, as long as the song sounds alright, you're pretty much good with that. The service's press conference included a who's who of musicians from every genre -- Madonna, Rihanna, Coldplay's Chris Martin, Arcade Fire, Daft Punk, Jason Aldean, deadmau5, Nicki Minaj, and so many more -- presented as "owners" of TIDAL. Here is where the service's real strength lies, in its teased exclusive content by infamous artists. Already, heavyweight Beyonce has offered up a new song exclusively to TIDAL subscribers. While I appreciate the thought behind creating a service that's essentially "by" the artist, "for" the artist, this display of power feels much less "We Are The World" and much more like "We *THINK* We Run The World"...and they do. These artists have serious muscle in persuading music fans to shell out the $$ to subscriber, sure, but they are also brands in themselves. TIDAL's mantra is to take the Music Industry back for the artist but when artists who are already monetarily successful are used as its face, it feels less like a social movement and more like petulant strong-arming in order to pad their already impressive payouts in the existing streaming world. The main complaint made by artists against the Spotify concept is that they make very little money per stream in a landscape that is already overcrowded and in the case of lesser-known artists, this is certainly true. Time Magazine offered up an estimated payout breakdown of the "most in demand" songs on Spotify at the time -- inevitably featuring artists that were already popular at radio and in pop culture on the whole. Taylor Swift's "Shake It Off" made her an average of $335,000 in the month of October based on streams alone before she pulled her catalog from the service entirely. On paper, Taylor's complaints make sense (Spotify was claiming her material earned her millions, while Swift's camp is saying they saw a mere fraction of this payout). But they ring false when they are coming from a career artist like Swift who could essentially give away her music and still make lots of money through other revenue channels. To an artist like Taylor, that payout number may be considered chump change. But to an independent artist -- fighting to be heard, fighting for exposure to potential new fans -- it's life-changing. Earning less then a penny for one stream is arguably worth it if it transforms the listener of that one stream into a fan who will in turn pay to see the artist live (or at least, rave about the song to their friends who may then become fans themselves). It's for this reason that I say, if TIDAL is for the artists, by the artists as it campaigns, it's face should be the bubbling under artists of today rather than artists like Rihanna who would already be making thousands of dollars off streaming. It's the reason why so many indie artists are staying indie -- they aren't just getting away from the too-many-cooks-in-the-kitchen mentality of many modern record labels, they can also find their one lane in an marketplace that is overcrowded by successful brand names. Spotify may seem dull in comparison, just as it did when Beats Music launched -- but we all know how that turned out. At least it's a leveled playing field. What happens when two of the "owners" promotional cycle ramp up at the same time? Who gets prime real estate? This feels less like "Music For All" and more like a pure popularity contest. 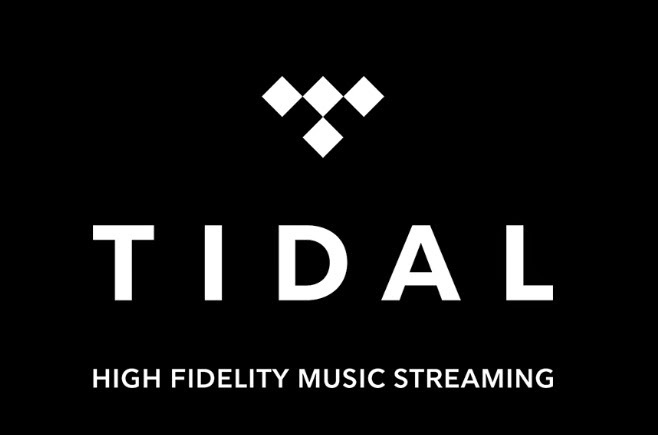 Have you subscribed to TIDAL? How do you feel about it?